Having a peanut allergy throws a serious curveball into America's favorite pastime. While peanuts are synonymous with baseball (buy me some peanuts and crackerjacks — no thanks), we believe every child with peanut allergies should be able to attend a game safely — and luckily we aren’t alone. This season 26 out of the 30 Major League teams are offering peanut-free days or peanut-free seating options — special shoutout to the Oakland Athletics who are the first team to offer a peanut-controlled zone for every home game in 2017! Whether you're looking in your hometown or somewhere along your summer travels, we've compiled a list of teams that offer options for guests with peanut allergies, along with a calendar of special peanut-free games. 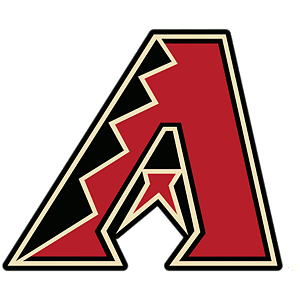 For almost every home game in 2017, the Diamondbacks reserve Suite 1 for fans with peanut allergies and their guests. Currently, the suite will not be available during games on July 22-23 and August 11-13. The hospitality manager says the suite and its private bathroom receive a general cleaning the night before a game, but they can't guarantee that fans in neighboring suites will not be eating peanuts. Ticket Info: Email Diney Ransford at dransford@dbacks.com. The Dodgers are hosting Peanut Allergy-Friendly Night on Tuesday, June 20. For this game, Executive Club level seats will be reserved for fans with peanut allergies and their families. This area features in-seat service, a full bar and new food and beverage options. 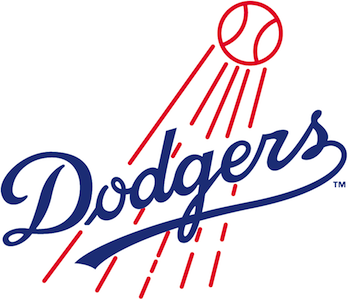 Ticket Info: Contact Britni Howze at BritniH@ladodgers.com or 323-224-1304. The Oakland Athletics hit a home run with food allergy families when they became the first team in the major league to offer a peanut-controlled zone for all home games in 2017! No peanuts are allowed in Loge 66, the designated seating area, and signs alert other fans to respect this request. Before the gates open, the area is cleaned and checked for peanuts, but it doesn’t have a separate bathroom or concessions. The Giants take on the Pirates on Peanut Allergy-Friendly Day at AT&T Park. Level 336 will be designated the peanut-controlled section, and the team's customer service agents said the area will be cleaned thoroughly before the game. For the most direct route to this section, enter through the Suite Lobby Entrance at 2nd and King. As an added bonus, tickets are just $9! Ticket Info: Visit the Giants' Peanut Allergy-Friendly Day page or email peanutallergy@sfgiants.com. The Rockies’ peanut-controlled game day was on Friday, May 5 against the Arizona Diamondbacks, hosted in the Mezzanine Party Suites. All fans who attended were required to fill out and submit signed waivers to the Colorado Rockies Baseball Club. Upcoming Dates: Check back next season for additional dates! Ticket Info: Visit the Rockies' Peanut Allergy-Friendly Game page. Depending on availability, the Rays can accommodate fans with peanut allergies for most home games. Call ahead to see if a suite can be reserved and designated peanut-free for a specific date. Prior to the start of the game, the reserved suite will be cleaned, but there is no private bathroom. Ticket Info: To order tickets, contact Ali Lopez at 727-825-3345. The Braves take on the Houston Astros during this season's special peanut-free night. Tickets to Suites 11 and 12 include $20 to use at any concession or merchandise stand. Use promo code PEANUT when purchasing to access the peanut free night tickets. Ticket Info: Contact Rick Coller at rick.coller@braves.com or 404-614-1327. You can also purchase tickets through Ticketmaster. In May 2016, almost 300 people attended the White Sox’ Food Allergy Awareness game. This year, they are hoping to bring even more families to the ball park for a peanut-free baseball game on July 16. After the match-up against the Mariners ends, kids will be invited onto the field to run the bases. No nuts or nut products will be allowed in the designated sections, and the concession stand closest to this area will not be selling nuts or anything that contains nuts. The organizers also say that the seating area will be cleaned and checked prior to the start of the game. For select games during the 2017 season, a Peanut Allergy Suite will be available on the Oriole Park Club Level at Camden Yards. The suite, which will be cleaned thoroughly before each game, is reserved for peanut allergic fans and their families. Ticket Info: To purchase tickets, call 888-848-BIRD. Tickets are going fast for the Boston Red Sox’ upcoming Peanut Allergy Friendly games! Currently, there are standing-room-only tickets available for the four upcoming games. For these games, the Red Sox designate a section in the right field terrace, which is cleaned thoroughly before the first pitch. Peanuts are prohibited from being sold or consumed in this section, and signage asks neighboring fans to keep peanuts out of the area. Ticket Info: To purchase tickets, email peanutallergy@redsox.com. The Tigers’ peanut allergy-friendly games were on April 30 and May 21. To purchase a ticket, families were required to fill out and submit a waiver and could purchase a maximum of four tickets. During the peanut friendly days, the Tigers offered a limited peanut-free food menu for those who wished to purchase concessions at the park. Ticket Info: Visit the Tigers' Peanut Friendly Days page. This season, the Minnesota Twins partnered with the Anaphylaxis & Food Allergy Association of Minnesota to help make baseball games more accessible for fans with peanut allergies. The Twins’ private, open-air balconies above left field will be the peanut-controlled zone on specific dates, and families will be able to purchase peanut-free ballpark concessions in this area. To get on a waiting list for tickets, contact the AFAA. Ticket Info: Contact Luis Breazeale at 612-659-3575 or luisbreazeale@twinsbaseball.com. The Royals go the extra mile to accommodate food allergy families at Kauffman Stadium. During select regular season games, the Joe Burke Suite will be reserved for people with peanut allergies and their families. The suite, which is cleaned extensively before the gates open, has a private bathroom, lounge and select items from the team store, limiting the need to leave the suite. The ticket price, which ranges from $55 to $85, also includes peanut-friendly foods like hot dogs, popcorn, chips and salsa, and rice krispie treats. Spokin Tip: Gluten-free fans can stop by guest services for a menu of safe ballpark snacks. Ticket Info: Visit royals.com/peanutfriendly or contact Hannah Maher at 816-504-4493 or hannah.maher@royals.com. For one game this season, the Cardinals designate peanut-free sections in the left and right field pavilions. All seats in these sections will be cleaned before the gates open. No peanuts will be sold in these sections, and the ushers are trained to look out for people bringing nut-based snacks near the area. Ticket Info: Visit the Cardinals' peanut-free page or contact Steve at 314-345-9635. The Mets’ hosted their 7th annual Peanut-Controlled Suite Day on Saturday, April 8. No peanuts were allowed in the Porsche Suite 201, which was power-washed and cleaned thoroughly before the games. Ticket prices included a peanut-free menu. Ticket Info: Contact Mark Phillips at 718-565-4350 or email mphil@nymets.com. Peanut allergic Yankees fans can watch all the action from the Party City Party Suite on designated dates in July and August. Tickets include nut-free ballpark snacks and non-alcoholic drinks. The suite, which has a private bathroom and indoor lounge, will be cleaned prior to the game. Please note: the Yankees require a signed and notarized waiver prior to ticket pick-up. Ticket Info: Contact Cristina Campana at ccampana@yankees.com or 646-977-8048. Peanut-free games return to Progressive Field in 2017. Fans with peanut allergies can buy tickets to a designated suite — Suite 316 — for $50 per ticket. The fan services department says the ballpark goes to great measures to make sure this area is scrubbed down completely before the gates open. Ticket Info: Visit the Indians' peanut-free page and use special offer code “peanut.” Offer expires two weeks prior to the game. Call 216-420-4162 or email Jackie Plys at jplys@indians.com with questions. The Reds score extra points with peanut allergic fans by setting aside a private, indoor seating area in center field on their Peanut Sensitive Days. The Cincinnati Bell Technology Pavilion is separated from concession stands and regular ballpark seating. Before these special events, all hard surfaces, furniture and baseboards are wiped down and sanitized. They also conduct a detailed cleaning of the private restrooms. Nut-based products will not be allowed in the area, and the Reds’ staff encourages people with peanut allergies to bring their own food from home. Spokin Tip: A portion of the proceeds from every ticket purchased will go to FAACT (Food Allergy & Anaphylaxis Connection Team). This season, the Phillies are designating All-Star Suite 10 and MVP Suite 11 as their peanut-reduced suites for select games. Tickets include a peanut-free menu of food and non-alcoholic beverages. To pick up your tickets, head to the desk outside of the West-Suite and Club Entrance. Ticket Info: Visit the Phillies' peanut-free page. Enter the password PRS to purchase. Maximum 4 tickets per order. For more details, contact Brittani Shields at 215-218-5101 or bshields@phillies.com. On Food Allergy Awareness Day at PNC Park, the Pirates have reserved the Miller Lite Rooftop for people with peanut allergies and their families. The tickets include a $5 credit for concessions or merchandise. All children ages 14 and under will receive a warm-up shirt and get an opportunity to run the bases after the game. Ticket Info: Visit the Pirates' peanut-free page. Use coupon code "ALLERGY." For group tickets, contact Brice Nikithser at brice.nikithser@pirates.com or (412) 325-4656. The Texas Rangers have a designated peanut-free suite for their July 9th game against the Boston Red Sox. The suite, which has a private bathroom, is thoroughly cleaned before the game, and peanuts are not permitted inside. Tickets are $30 each. With special offer code PEANUT, fans with peanut allergies and their families can score seats in sections 313, 314 and 315. No peanuts will be allowed in these sections, and signage will alert other fans of the peanut-free zone. The concession stand closest to these sections will not be selling peanuts during these games, but since Safeco Field is an open-air ballpark, there could be peanuts nearby. Ticket Info: Visit the Mariners' peanut-free page and use "PEANUT" as the special offer code. To order 20 or more tickets, call Bob Hellinger at 206-346-4454. The Brewers have designated Club Outfield Box Sections 306 and 307 as the peanut-controlled areas for select games this season. These sections and nearby areas will be power washed, wiped down and inspected before the first pitch. Escalator handrails will also be wiped down. For fans in these sections, the gates will open 30 minutes early to limit peanut exposure. The Brewers will also provide people in nearby sections who buy peanuts plastic bags to contain their shells. Ticket Info: To order tickets, visit the Brewers' peanut-free page. Limit 8 tickets per order. Tickets for the Nationals' peanut-free suites sold out during the first few weeks of the season, but keep an eye out for availability next spring! Ticket Info: Contact Mike Owens at 202-640-7652. Once again this season, the Toronto Blue Jays are offering a peanut- and nut-reduced seating during several home games. Section 204 will be reserved for people with peanut allergies and their families, and a special ticket pick-up desk will be set up outside of the John Street Terrace. The suite is cleaned and checked before the gates open, and additional staff will be on hand to help prevent other fans from bringing nut-based products into the zone. Ticket Info: Visit the Blue Jays' peanut-free page.